Wondering what size art to put behind your sofa, well contrary to what one might think, the larger the art, the bigger your room will look…..it’s true, every single time we hang a large piece of art people are amazed at how much bigger their room looks! 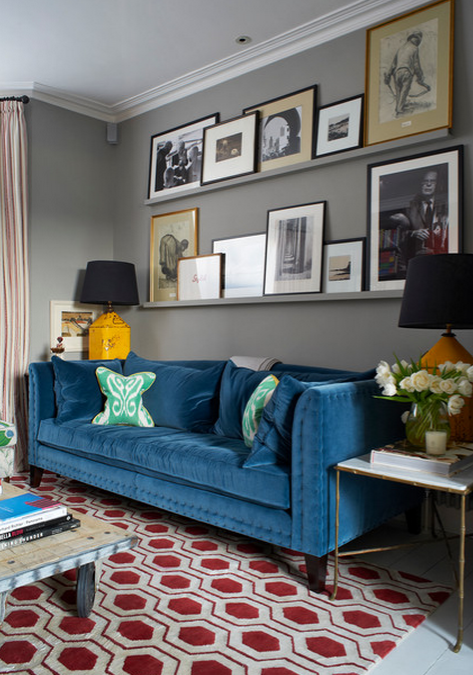 And here’s 4 more designer tips, some feature contemporary art or abstract art. 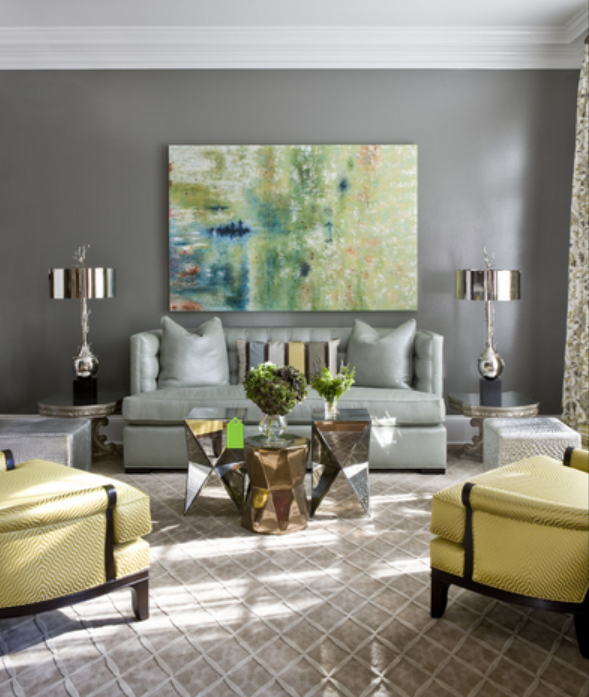 1) Abstract art looks great with a traditional sofa and chairs! It can give a fresh updated look to a traditional room. 2) It makes a home more interesting if you can mix some wrapped canvas pieces with framed and matted art, some signed and number limited editions with a Giclee and an original. The variety makes it all the more interesting! 3) When possible, it’s fun to add a built in surround book shelf (like below). It can make a room feel like a cozy study, and it accents your favorite art well. 4) If you don’t have a large piece of art you love, you can build shelves to display your favorite family photos or art collectibles. However, keep in mind that the frame and matting will need to be clean and simple, so it doesn’t get too busy. 5) A square or vertical piece can make your ceilings feel taller than a horizontal piece. It always shocks people – at how much it can affect how large the room feels. Comments? We LOVE hearing your feedback…just click the word “comments“ below…. 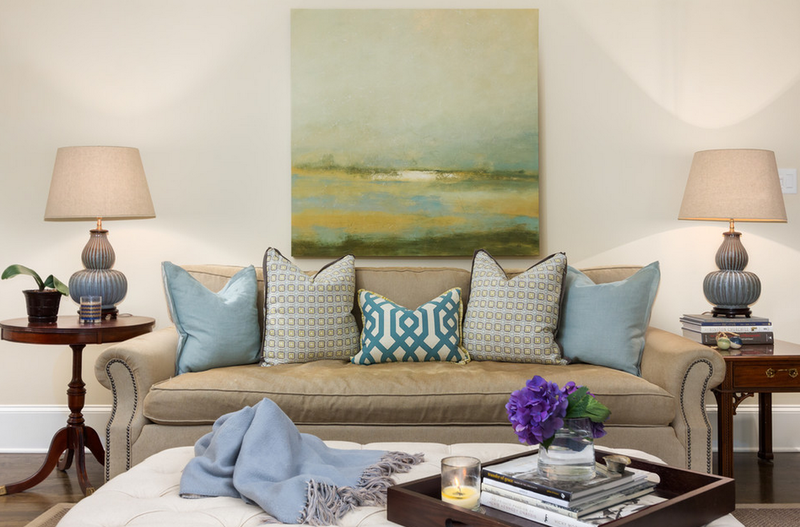 To determine the right size and type art behind your sofa, just know a very large piece will make your room look larger.